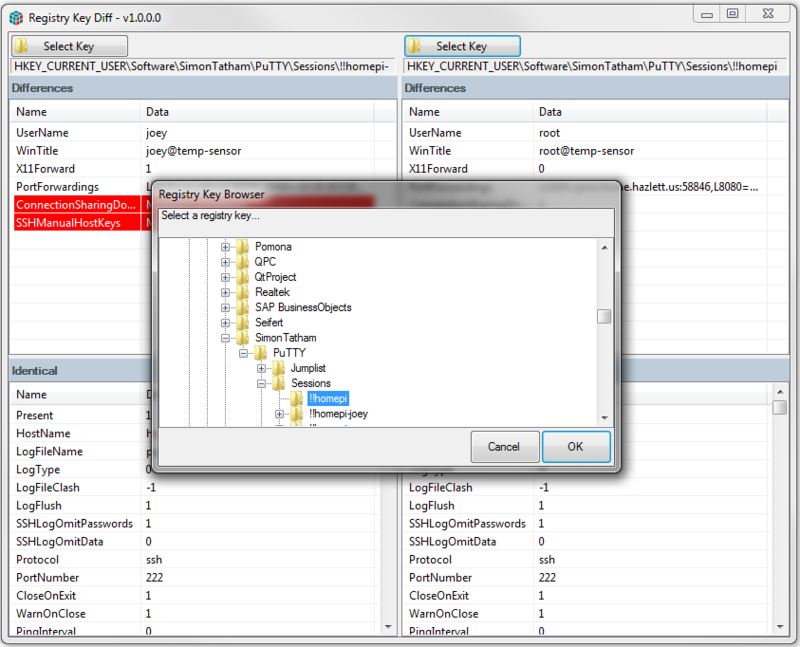 Registry Key Diff is a tool to allow you to compare two different local registry keys to see what is the same and what is different about them. It was created to compare PuTTY sessions to see why one session acts differently than an almost identical one. 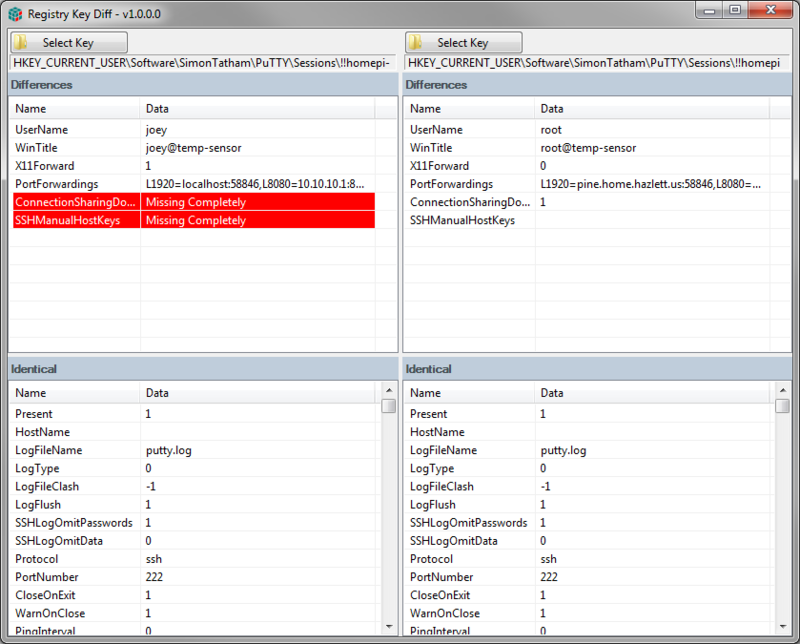 What do you think about Registry Key Diff? Rate it!